This post features Chinese history of immigrants and their impact on America becoming their home. The first article is the blog post publication of United States Department of Labor blog by Secretary Tom Perez. The Second is a related article with additional information containing a photo and video content authored by John from 8Asians, a blog about Asian American issues. 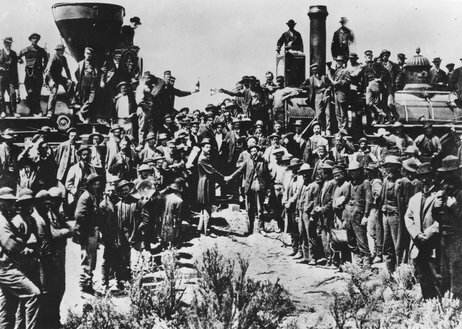 One hundred forty-five years ago tomorrow, May 10, the word “DONE” was telegraphed to Washington D.C., sending word that the final spike had been driven in to complete the First Transcontinental Railroad. It was one of the most remarkable engineering feats of the 19thcentury, connecting the country from coast-to-coast, facilitating commerce and opening the door for massive economic expansion. Before its completion, cross-country travel took six months. The railroad reduced it to a single week. 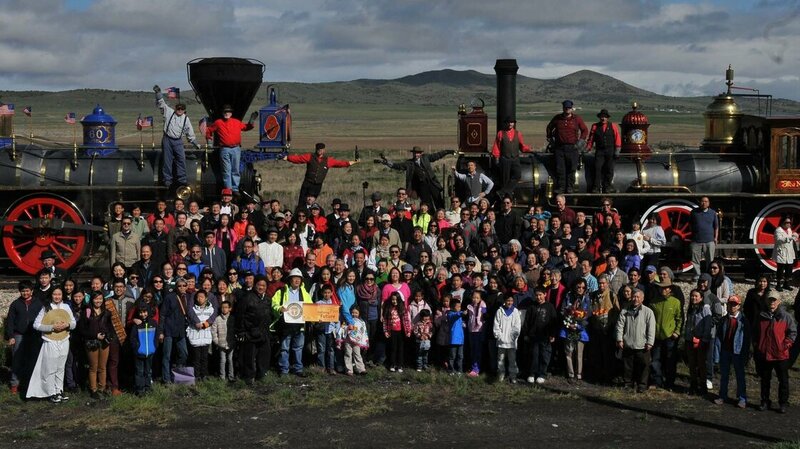 But too often lost in discussions of this awe-inspiring achievement is the contribution of the approximately 12,000 Chinese laborers who took on the grueling task of completing the western section of the track. It was backbreaking, dangerous work. Many of these workers died from the harsh winters and brutal conditions. They laid tracks on terrain that rose 7,000 feet in less than 100 miles, chipped away at the granite and planted explosives that were used to blast tunnels through the treacherous Sierra Nevada Mountains. Read full article Official blog United States Department of Labor. For full 8Asians blog post with historic photo and video content click here.